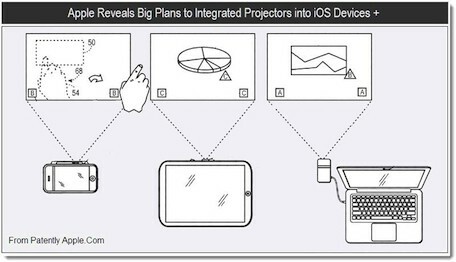 Following on from the Macrumors report last week that Apple had registered the applepico.com domain name, Apple has now filed a number of patent applications relating to ‘Pico’ projectors for iDevices. 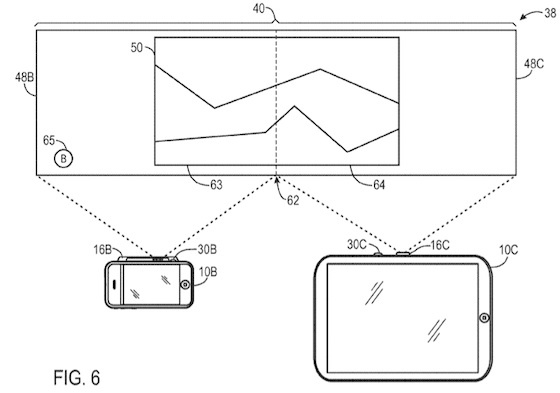 The patents relate to built-in projectors for iPhone, iPad and Macs which go beyond simple data-projection to encompass Kinect-style gesture recognition technology. Combined with the portability of Apple’s devices, this kind of hands-free interface could be a huge advantage for any kind of presentation. Details of the application showed that the pico projector technology would allow for the use of multiple devices that could be used in combination as a unified display. Users could potentially ‘push’ content from one screen to another, facilitating dynamic presentations that allow for a greater workspace than could be achieved with a single display.